It may be April Fool's Day but this is no joke... The Global Coworking Unconference, better known as GCUC, is just two weeks away! GCUC is the premier industry conference for the fast-growing coworking industry. Operators from around the world will converge in Denver, Colorado, the foothills of the Rocky Mountains, to learn the latest serviced office trends and to network with industry colleagues. GCUC is also a great chance to see the latest innovations from strategic vendors like innovative coworking software, interior design, modern office furniture and even financing options. One of the highlights is the annual Coworking Awards. (Spoiler alert, Greetly's visitor management system is nominated for the third consecutive year.) While the competition is fierce for coveted titles like "Best Furry Coworking Friend" and "Best Coworking Sticker", the good nature of the event ensures a great time is had by all attendees. Can't Make It to Denver? 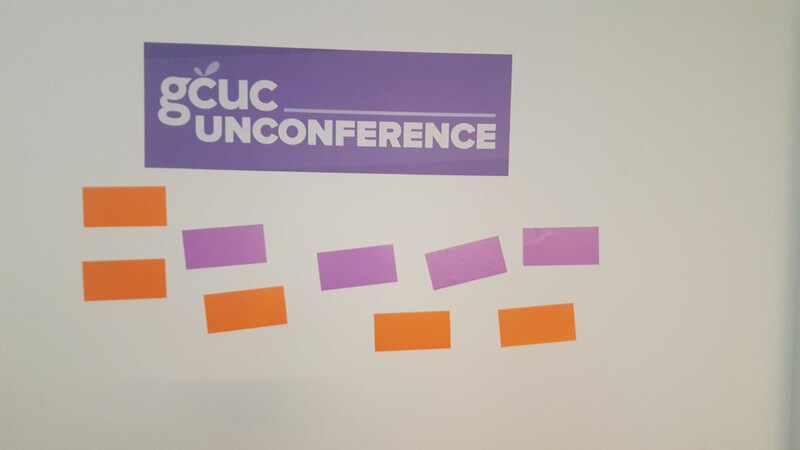 GCUC Is Coming to You! Coworking is one of the fastest growing trends in commercial real estate. The trend started with freelancers and startups looking for a better place to work - and hold meetings with potential clients - than their neighborhood coffee shop. Large companies have quickly seen the benefits of a shared workspaces too. For them it gives remote workers a place to collaborate without the long-term liability of a standard lease on their balance sheet. The best coworking spaces are about more than great Wifi, unlimited coffee and clever furniture. They build a sense of community. Their community manager knows what each member company and individual is working on and their goals. She is able to match them with potential mentors and partners. The space will also host events which allow for learning opportunities and the chance to interact with people in the broader community. Sure, there are other opportunities to learn about the coworking industry, like the Global Workspace Association's annual conference, podcast and digital learning events. Plus great serviced office publications, Allspace.Work, Deskmag and others. For meeting industry experts though, there is no option better than GCUC USA. Plus, a trip to the Rocky Mountains is always good for the health.